A super cute bandana pattern to be knit for your dog(s)! 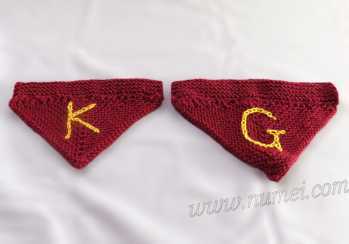 Knit multiple of these dog bandanas for different occasions, and knit them in your favorite team colors. Pattern to fit dog sizes Small / Medium-Large.